WestJet has dropped the price of their 1-stop flights from Vancouver to New York City on various dates throughout 2017 down to $385 CAD roundtrip including taxes. Click on the departure date box to open up the calendar, and look for date combinations that are $386 CAD roundtrip. The price will show up as $288 USD roundtrip including taxes, which will work out to $385 CAD when booked using a Canadian credit card, and including the typical credit card foreign exchange fee. Update 3/7 - April, May, and June dates have dropped a little further, and can now be booked for $353 CAD roundtrip including taxes. Click on the departure date box to open up the calendar, and look for date combinations that are $354 CAD roundtrip. On Priceline, the price will show up as $258 USD roundtrip including taxes, which will work out to $354 CAD when booked using a Canadian credit card, and including the typical credit card foreign exchange fee. On FlightHub, the prices are already in Canadian dollars (double check the top right of the page to be sure). You may need to click on the Delta logo once you get to the search results page on FlightHub. Update 3/8 - There are also a few non-stop flights from Vancouver to Newark (EWR) for $367 CAD roundtrip including taxes in June. They're week long trips though. 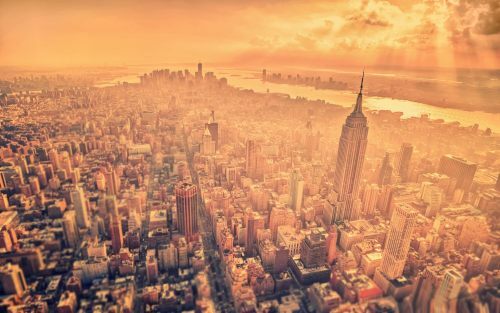 Update 3/21 - Flights from Vancouver to New York City (LGA) in late April, May, and June can be booked today for $329 CAD roundtrip including taxes (they are 1-stop flights). The WestJet coupon code that makes this possible is available for today only. - Look for the dates that are $398 CAD roundtrip in late April, May, and June 2017. With the coupon code, the price should now be $329 CAD roundtrip including taxes. vancouver, yvr, flight deals, air canada, new york city, united states, north america and new york. No Responses to "Vancouver to New York City - $329 to 385 CAD roundtrip including taxes (throughout 2017, including summer)"